Analytics give you insight into popular content on your website. 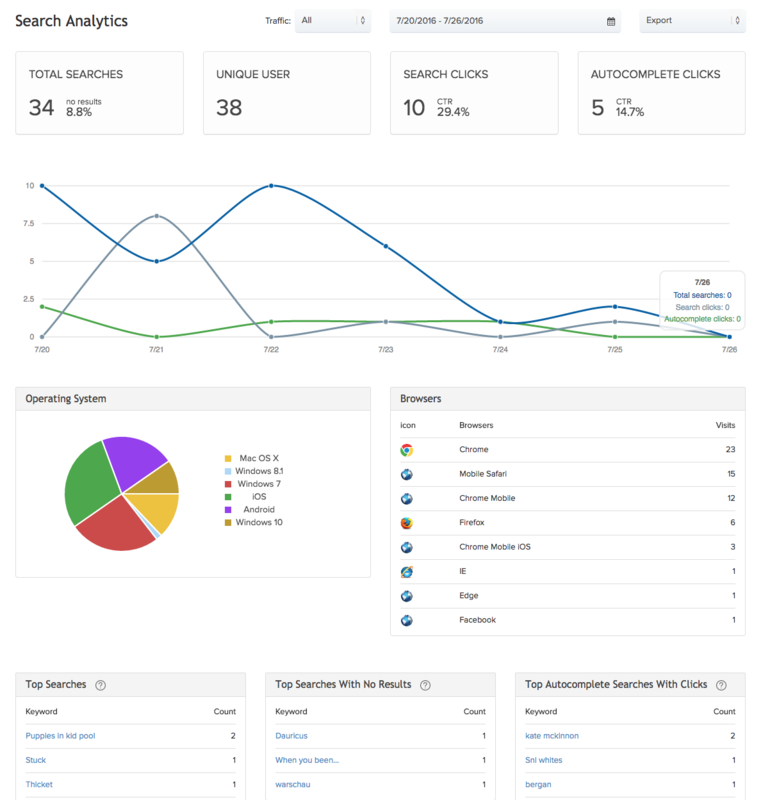 They allow you to see what users are searching for, what they click, top queries, queries that have no results, and which autocomplete queries are most popular. They look great, they’re easy to understand and they are super user friendly. See example below.